Flickstree's technology picks free, non-licensed content from sites like YouTube, Vimeo, Daily Motion and TED Talks and feeds the best videos to users. Kumar Akash and Ranju Sarkar find out more about the start-up that caught the cricketer's attention. 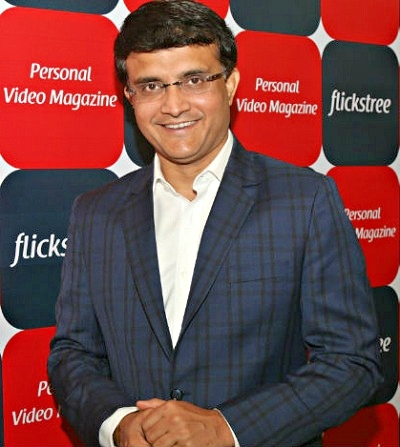 IMAGE: Flickstree recently raised ₹3 crore from investors, including Sourav Ganguly. Manish Jain is a medical representative for a Mumbai-based pharma company and often takes a bus to travel to smaller towns in the state. He likes to watch short movies till he goes to sleep. While many private Volvo bus operators offer free Wi-Fi services, finding the right content has been a big problem. Flickstree, a Mumbai-based firm, is trying to solve this problem by using technology to curate content of interest to you. It uses a patent-pending technology to pick free, non-licensed content from sites such as YouTube, Vimeo, Daily Motion and TED Talks and feed the best videos to users. "We want to be India's first personal video magazine," says co-founder Rahul Jain. Flickstree was in the news recently for raising ₹3 crore from investors, including Sourav Ganguly; this is the former Indian cricket captain's maiden bet on a start-up. On the web, there are lot of content producers, including the likes of Netflix and Amazon, which play in the licensed category, where subscribers pay to watch content. Flickstree is targeting free, non-licensed content. There are few such players like Frequency and Nameless.TV in the US, but Jain says since they curate content manually, they haven't been able to scale up. Jain says Flickstree's technology allows it curate content without manual intervention. The technology is able to preview every video, like any human being, and is able to understand the context of each video without relying on user-generated tags. It also uses the number of likes and dislikes and users' comments to pick the best videos in each category. "The technology allows us to curate the right content without manual interface, which makes our model scalable, and language- and geography-agnostic," claims Jain. The platform offers free videos across 24 categories; the company plans to add 5-7 new categories every month. Even Virat Kohli loves binge-watching! There are 200 million who watch videos online (on YouTube); Flickstree is initially targeting a fourth of these users who are explorers and not satisfied with the content available. The company, started six months ago, is at the pre-revenue stage. It will have three revenue streams: Digital advertising, sponsorship from brands who want to promote themselves in a category (paints major Asian Paints, whose tag line is beautiful homes, could sponsor the home décor category for six months or so); and three, placement fees from content owners. 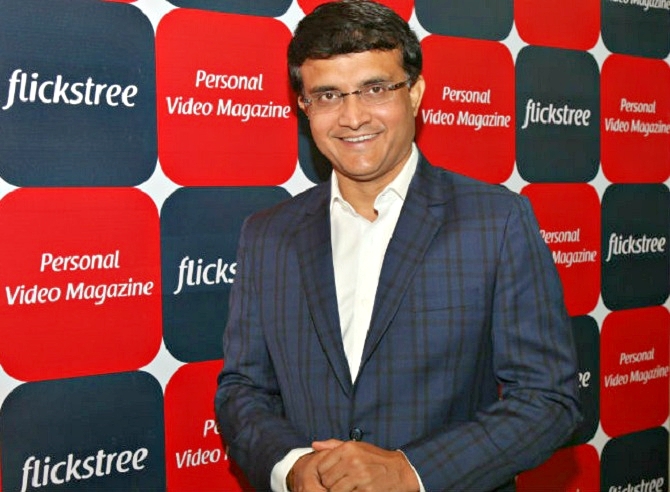 The initial response has been good: Flickstree has 75,000 active monthly users on the platform, which got a boost with the recent funding and Ganguly's association. The company hopes to start monetising once it doubles the active monthly users in three months. Jain says Flickstree wants to be the Flipboard for videos. Flipboard is a US-based firm which curates content (in text) that is of interest to you.